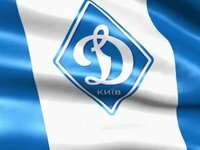 Dynamo Kyiv Football Club has beaten French Rennes with a score of 3:1 in the fourth round of the Europa League group stage. Benjamin Verbic broke the match open at the 13th minute of the match. Dynamo's young defender Vitaliy Mykolenko at the 68th minute, and midfielder Mykola Shaparenko at the 72nd minute extended the lead. Rennes was able to score a prestigious goal at the 89th minute. In another match of the group, Astana beat Czech Jablonec in its field with a score of 2:1. After four rounds, Dynamo and Astana scored eight points each. Rennes has got three points, and Jablonec two points.